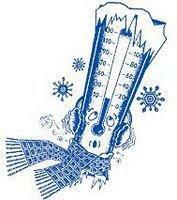 The forecast for the next couple of days is for extremely cold temperatures. Please keep your children in the house while waiting for the bus. We will be sure to stop and check for each child along the route. Please make sure your children have hats and gloves and keep any exposed skin covered. Children should not be exposed to the temperatures outside for more than 10 minutes. If a child is seen walking, the bus drivers have been instructed to stop and offer them a ride.